Tremolite forms by metamorphism of sediments rich in dolomite and quartz. 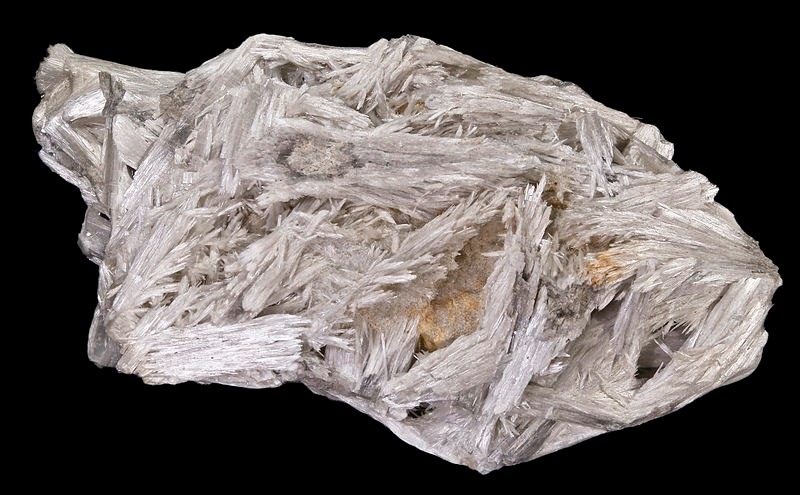 The fibrous form of tremolite is one of the six recognized types of asbestos. This material is toxic and inhaling the fibers can cause cancer. Fibrous tremolite is sometimes found as a contaminant in vermiculite, chrysotile and talc. Tremolite, similar to most minerals, is best viewed under a polarizing microscope. 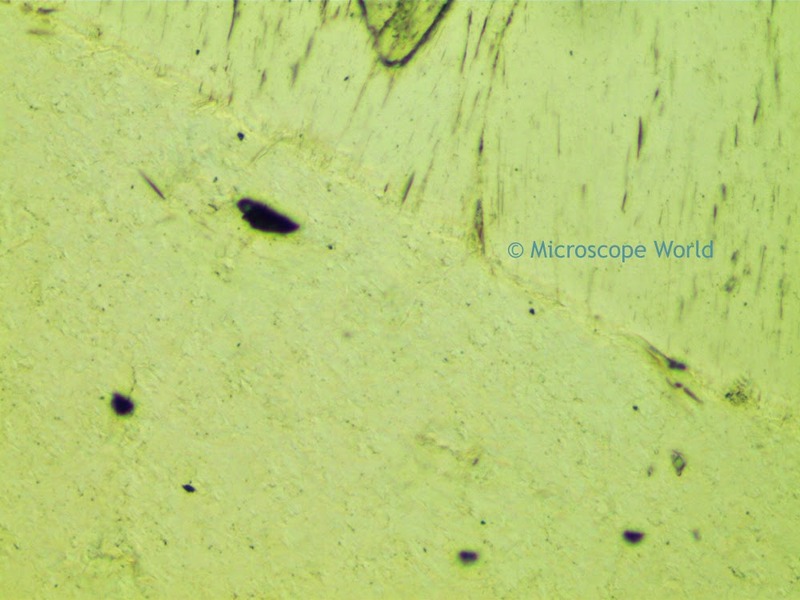 All the images below were capturing using the Fein Optic R40POL polarizing microscope with transmitted light. Tremolite using the 1/4 wave plate under the polarizing microscope, 100x. 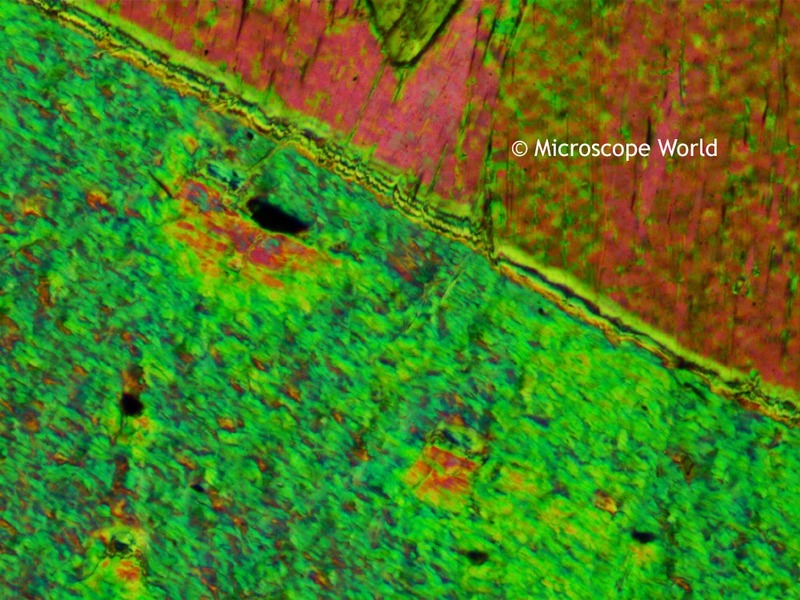 Tremolite using the polarizer and analyzer under the polarizing microscope, 100x. 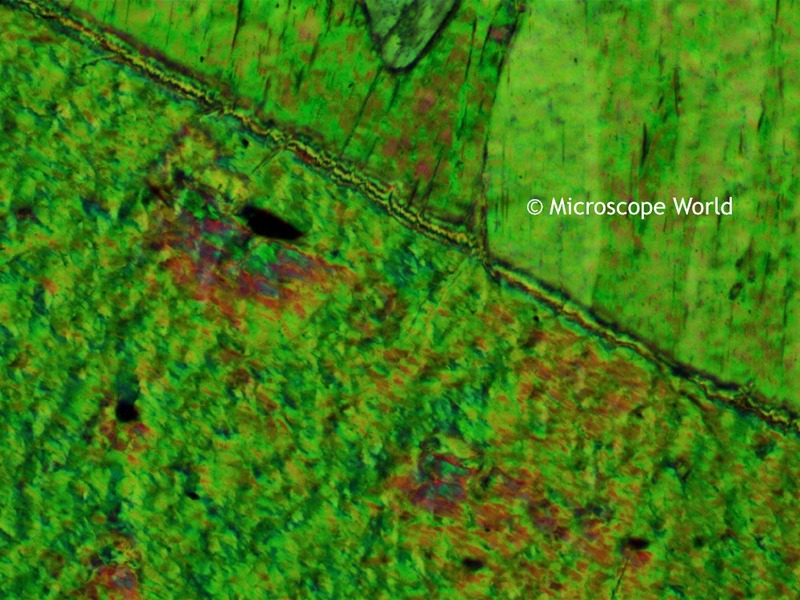 Tremolite using the full wave plate under the polarizing microscope, 100x. 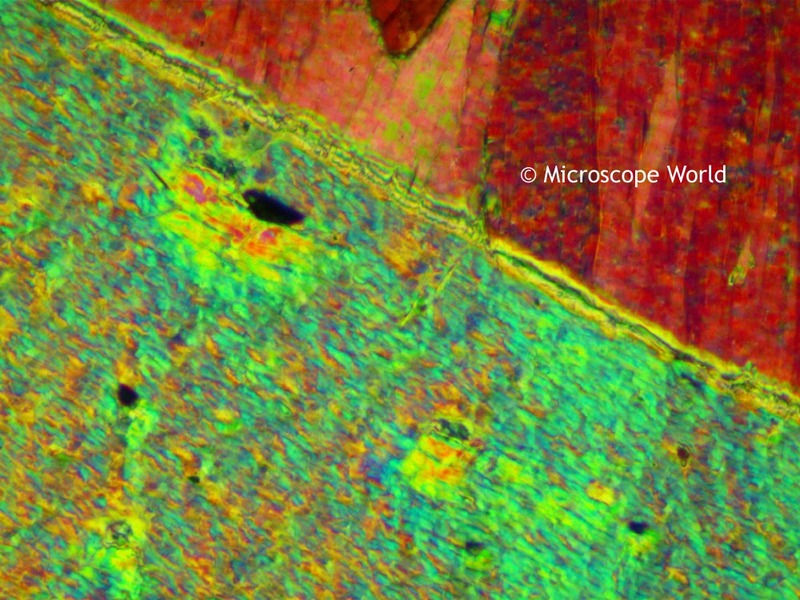 Tremolite under the polarizing microscope, 100x. 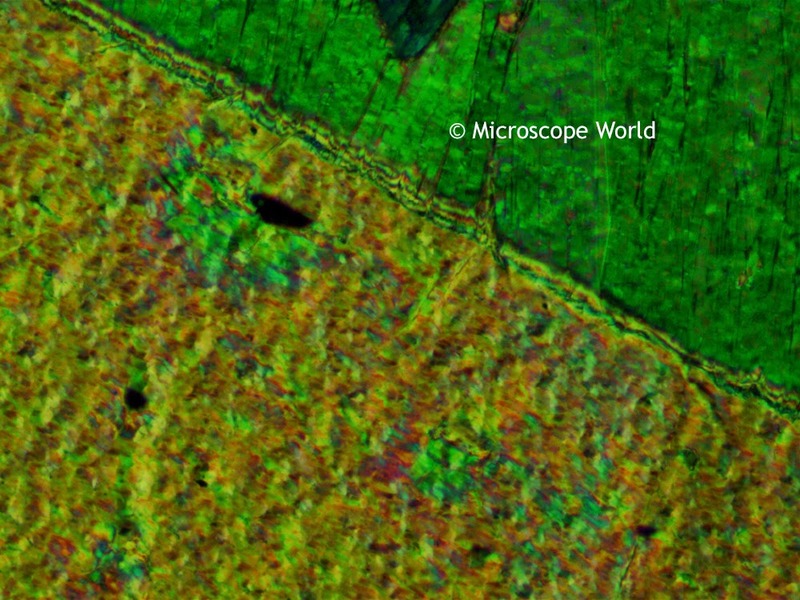 Tremolite under a brightfield microscope, 100x (no polarization). Notice the stark difference between images where polarization was utilized, and the bottom image where only brightfield microscopy was used.